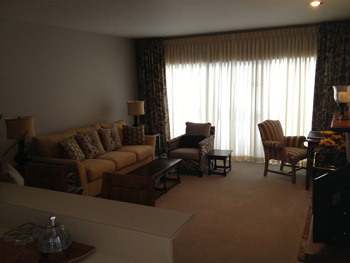 Owners at Three Village have six guest rooms available for their use; three in each building. 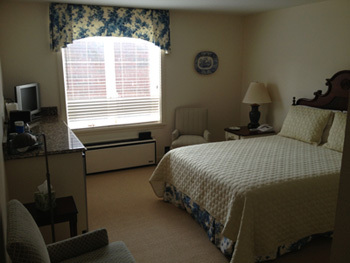 All six rooms have private telephones and are equipped with Time Warner Cable. Maid and linen service are provided each day. Guests will be provided a space within the Three Village parking garage during their stay. Rooms are configured with either two twin beds, two double beds, a queen or a king bed. All mattresses are less than two years old. Guest Room 6 is a full suite with a complete kitchen, a queen bed in a private room, and a pull-out sofa bed in a living room. All other guest rooms come with a kitchenette and include a coffee maker and refrigerator.